Higher education enrollment management still faces a veritable number of challenges; with one-third of all high school graduates who plan to attend college not enrolling come fall, institutions must improve their matriculation policies so students make it to campus. 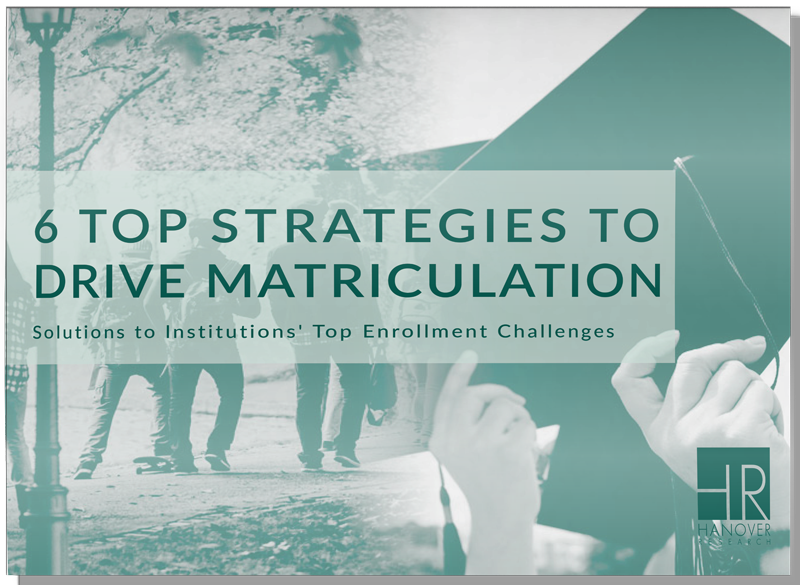 In this toolkit, we provide solutions to address the top matriculation and enrollment challenges that institutions face. Download 6 Top Strategies to Drive Matriculation now!